If you’re high in serotonin – you’re positive, confident, flexible, and easy-going. If you’re sinking in serotonin – you’ll tend to be negative, obsessive, worried, irritable, and sleepless. If you’re high in catecholamines – you’re energized, upbeat, and alert. If your catecholamines have crashed – you’ll sink into a flat apathetic funk. If you’re high in GABA – you’re relaxed and stress-free. If there’s a gap in your GABA – you’ll be wired, stressed, and overwhelmed. If you’re high in endorphins – you’re full of cozy feelings of comfort, pleasure, and euphoria. If you’re near the end of your endorphins – you’ll be crying during commercials, overly sensitive to hurt, and reaching for comfort to sugar, starch, alcohol, or other drugs or behaviors. 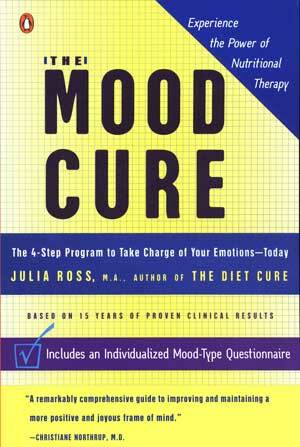 You can replenish any deficiency in your own neurotransmitters using the amino acids as described in The Mood Cure. Take the Mood Type Questionnaire to determine your next steps.